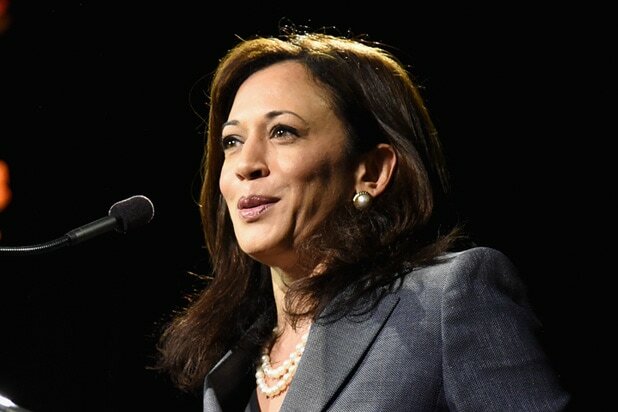 California’s new U.S. Sen. Kamala Harris was so appalled by the bungled rollout of the Trump administration’s ban on travel from seven Muslim-majority countries last month that she called Homeland Security Secretary John Kelly and confronted him about it. 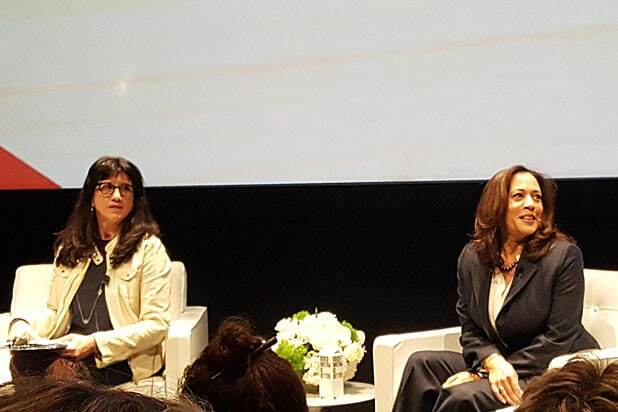 “I called him up at home ’cause I got the number,” Harris told the audience at a Creative Artist Agency-sponsored summit of political leaders on Thursday. The call didn’t go as well as she had hoped. 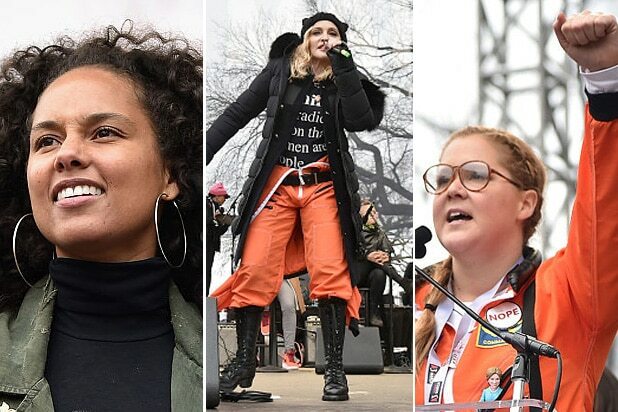 “I was really unsatisfied with the conversation,” she told the crowd, which included actors Richard Dreyfuss and Joshua Jackson. Harris (above right), who was sworn in as California’s first black senator last month, said she spoke to Kelly after receiving a flood of calls from lawyers at Dulles, LAX and San Francisco airports who were being denied access to refugees. “My first bill that I dropped this week, if we can get it passed, will be a law requiring that refugees and immigrants who arrive at the border be allowed access to counsel as a legal right,” she said. Asked what she thought of the Trump administration’s first month, Harris referrred to it as “the post-11/8 era,” a reference to the date of Trump’s election last fall. “There was pre-11/8 and this is post-11/8,” she said. But Harris said she was heartened by the swirl of civic engagement around the country and urged people to “pay attention” to the 2018 races and get involved with nonprofit organizations like Planned Parenthood. CAA’s “Take Action Day” was billed as a nonpartisan summit of political and thought leaders held at the agency’s Century City headquarters.